Everyone has debt. Whether you owe money for medical bills, student loans, or credit cards, debt it is normal. 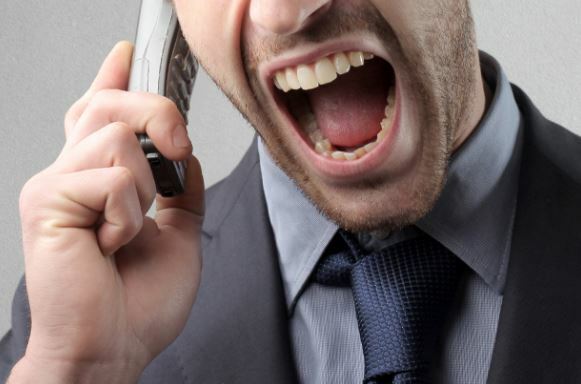 What isn’t normal, however, is debt collector harassment. While their calls sometimes are a minor annoyance (because no one likes getting them), other times you may fear for your safety. Call you at all times of the day or night. They are only allowed to reach you after 8 AM and before 9 PM (unless you have specified otherwise). The Federal Trade Commission reported over 400,000 consumer complaints on debt collection scams in 2016. This complaint was ranked second out of the top 30 complaints, right behind general debt collection. Consider bankruptcy if you cannot afford to pay off the debt. Send a letter to the agency to stop receiving calls. Contact an attorney if the calls persist and you believe you are being scammed. If you believe you are being scammed, your safest option would be to hang up immediately when you realize the caller is a scammer. You may also file a complaint with the Consumer Financial Protection Bureau. If you are still unsure you are being scammed, you may also want to contact an experienced attorney who has worked with debt collection scam victims in the past. Remember: you have rights! Take a look at the Fair Debt Collection Practices Act, and keep the regulations in mind whenever you are contacted about a debt.